These reinforcements fall under the framework of the co-operation agreement between the Ministry of the Interior and Turismo de Galicia, which also includes another special operation for the summer months. The Autonomous Community Police have deployed a total of 16 patrols along six routes (French, Portuguese, English, Fisterra and Muxía, North, and Primitive routes, and Via de la Plata), In collaboration with Heritage, their security efforts will place special emphasis on controlling illegal business dealings. These reinforcements are in addition to the protection services provided by the Autonomous Community Police on the Way of St. James throughout the year. Evidence of these efforts are the figures for 2016, during which there were over 800 deployments related to this issue, resulting in over 150 reports. 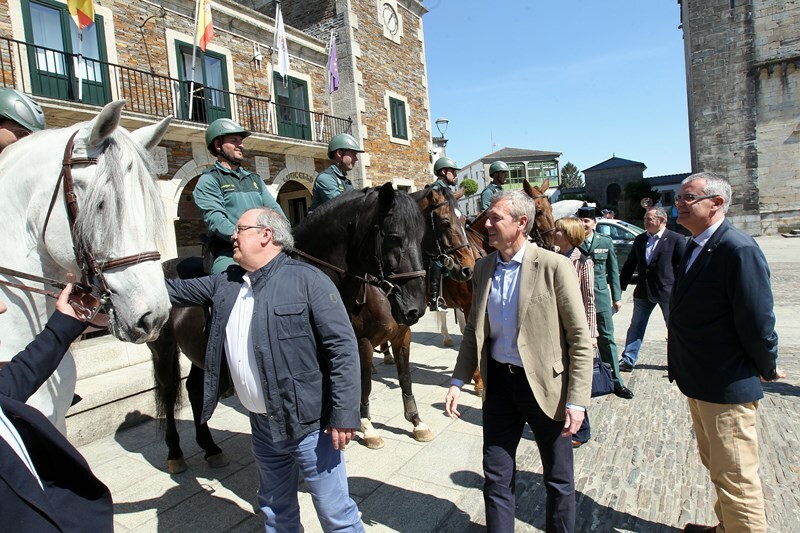 For its part, the Government Delegation is reinforcing its security operation with Civil Guard Traffic motorcycle officers from Seprona (Nature Protection Service), five horseback officers from the Civil Guard cavalry squadron, and a French gendarme, who will carry out mixed patrols and citizen security work. In addition, also under the framework of the agreement between Interior and Agencia de Turismo, reflective materials will again be distributed to pilgrims this year. This is both a precautionary measure and intended to raise awareness. These materials will be available at hostels at starting points along the route: O Cebreiro, A Gudiña, Verín, Tui, Ribadeo, Padrón, A Fonsagrada and Sarria.